Is your digital marketing budget depleted by fluff? Let’s consider three types of “fluff” that totally saps your digital marketing budget. Specifically, this is the stuff you are doing and [probably] paying for, that has no actual bearing on your performance as a business. A big thing that differentiates ‘digital’ from other types of marketing is that you can measure everything – easily. With an e-shop for example, not only can you measure online sales, you can measure your visitor to sales ratio, your average gross margin per visitor, the navigation route a visitor took that resulted in a sales conversion (so you can improve the process), most popular products, most profitable products etc… Armed with this information, you can up-sell, cross-sell, after-sell, solicit referrals and so on, much more effectively than you could otherwise do – and in a completely automated way. So if you are just measuring the number of visitors, how much they cost you to get and the number of sales you made, how do you know if 90% of your visitor investment was loss-making whilst 10% of it was extremely profitable. finding new visitor communities that can buy from you. 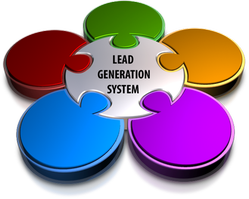 Any website can get lots of visitors – it’s very easy. But you should want “high quality” visitors – those that convert rather that those who do not have a buying or conversion intention. High quality visitors may be much fewer in number, but your conversion ratio will be a lot higher. In search, these high quality visitors pre-qualify themselves based on the actual search query they used. 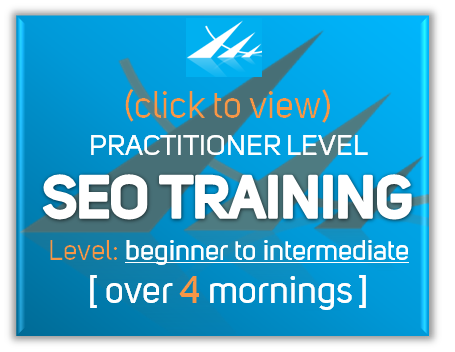 That makes channels such as SEO and PPC, when used correctly, very attractive. Directing your focus on aesthetics instead of lead generation. We all want beautiful websites that reflect our brand, our values and which present our products and services in the best possible light. Typically, in medium or larger organisations, some degree of website integration with an accounting or CRM system is required. In many cases, this is relatively simple and straightforward. In others, it can be a complex challenge. Nevertheless, the vast majority of websites are simple “brochure” sites; websites which serve no other purpose than to sit there, looking pretty! Whatever the sophistication of your website, and whatever the size of your business, using your website merely as a brochure is a big mistake. engage the leads in an online sales process that nurtures them to the next stage in your [pre-defined, mapped-out] sales process. In summary, set monthly improvement targets for your website, measure the value of the sales leads it generates based on your ability to close them and never, ever consider your website merely as a brochure! The transition from traditional media advertising to digital media has brought with it major opportunities for vastly improved return on advertising investment for those who “got it’! Unfortunately, for those who still think like traditional media advertisers, the correlation; applying that traditional advertising thinking to an online context, has had the opposite effect. For example, the purpose of a marketing email is not to present a beautifully designed advert with a big sales message to an email reader. Does that surprise you? I’ll elaborate on that elsewhere as space is limited here! One of the legacy effects of the transition is that big advertising agencies got used to enormous budgets being pumped into traditional brand experiences at massive cost – often with ineffective performance measurement. Post-transition, these big agencies are still left with lots of hungry mouths to feed, very scary wage bills and often overvalued skill sets for the modern digital age. The result? Organisations are still paying far more that they should for their digital and display advertising and media production by following the best judgement of those who are heavily influenced by traditional mindsets. If you had to pick one thing in the digital age that will get you through to the far side of success unscathed, it would have to be – Analytics. Learn it. Become fluent in it. Know what can be measured and what can’t. Know what you need to know and ensure that any agency or contractor is setting-up for that measurement to occur. 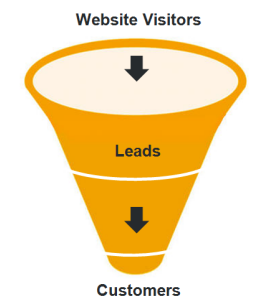 A good place to start is: the Google Analytics IQ Lessons. Be the most trusted source of best practice in digital selling strategy, planning and implementation. Digital marketing is most successful when every part of its execution translates cleanly to a part of the sales process. We will work with you honestly. We will exhibit the highest integrity at all times and that your experience of PRAXISNOW will never be less than excellent value for your investment in us. Both directly and with our partners, your project will be in the hands of people who are competently trained and experienced in the project component for which they are accountable. Projects that are managed by PraxisNow will involve a senior executive level project manager who can communicate at board level and who has the knowledge and experience to take key decisions during each implementation phase of your projec.